A good beginners surfboard is thick enough to float you well so you can paddle easily, and is wide enough so it is stable in the water and not so tippy. Most people can learn comfortably on a wide board that is about 7’8” or longer, and 21-22″ wide. Any shorter or narrower than that and the board starts to get really tippy and unstable. If you absolutely must go smaller though, lose the length and keep the width. The advantage of a smaller board is that it’s easier to control and less cumbersome. It’s also more maneuverable once you’re up and riding. There are plenty surfboards to choose from here at Manly Surfboards shop. If you’re between 45-60kg, go for a 7’6” or 7’8” minimal. If you’re 65-90kg, go for a 8’ minimal. Anything over that you’ll want a full fledged longboard. If you think you have at least some athletic prowess, try to go for a 7’6”-8’ minimal. Minimals are a cross between longboards and shortboards. They’re sometimes referred to as “funboard.” A good minimal will be about 22” wide and 2.5-3.5” thick. It should have a round nose and a good amount of rocker. The round nose helps you catch the waves, and the extra rocker makes it so that you won’t pearl or nose dive on your takeoff. A board with no rocker is flat, and it’s easy to dig the nose into the water and wind up with a fun wipeout! The good thing about minimals or longboards is that if you own one, they’re a ton of fun on small days for any skill level. But if you don’t, come to Manly Surfboards to check their surfboard hiring. 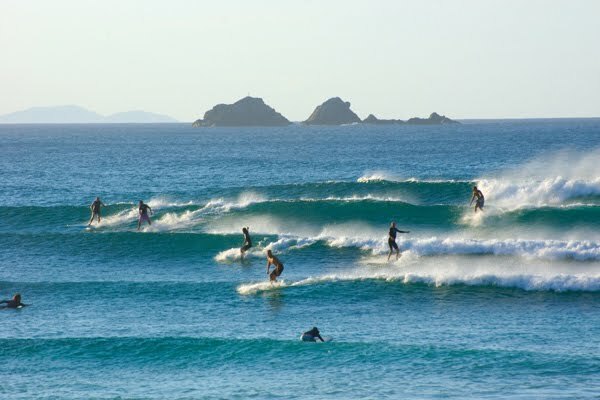 They offer the biggest range of boards at the cheapest price – absolutely the best in Manly. To convert Kg to Lbs, note that 1kg equals 2,2 lbs. To convert Meters to Feet, note that 1m equals 3,3ft.